Steve Schaefer and Caribe prove to be the fastest pair at Showplace Summertime Series. 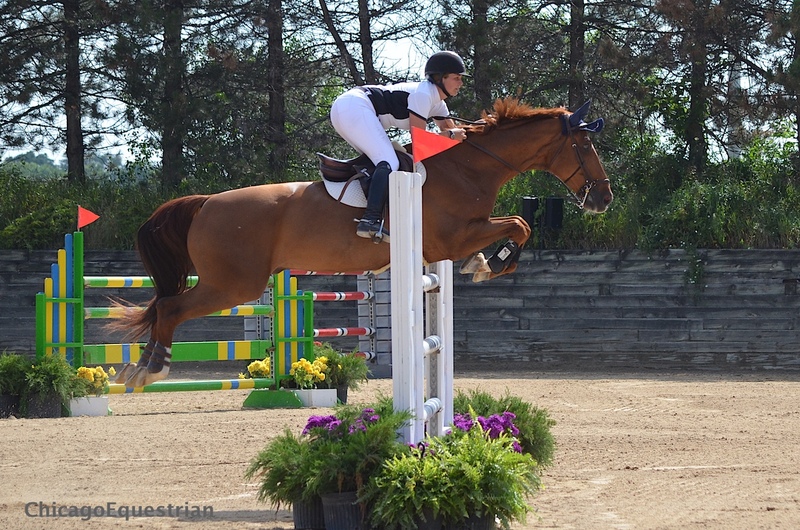 Roscoe, IL – July 12, 2015 – Riders in the $30,000 Tapestry Farm Grand Prix turned up the heat on the already steamy 86-degree day at Ledges Sporting Horses in Roscoe, IL. Nineteen riders gave the Anderson Lima (inset photo)) designed track a try to see who would be going home with the big check during week II of the Showplace Summertime Series, managed by Patrick Boyle. Eight horse and rider combinations managed to make a fault free effort where other riders had rails in the triple combination or the oxer, vertical in and out. Veteran Grand Prix rider Lisa Goldman, Hawthorn Woods, IL, had four rides out of the eight to return for the jump-off, Andrew Kocher had two clear and Steve Schaefer and Tiffany Hammack both had one shot for the top prize. 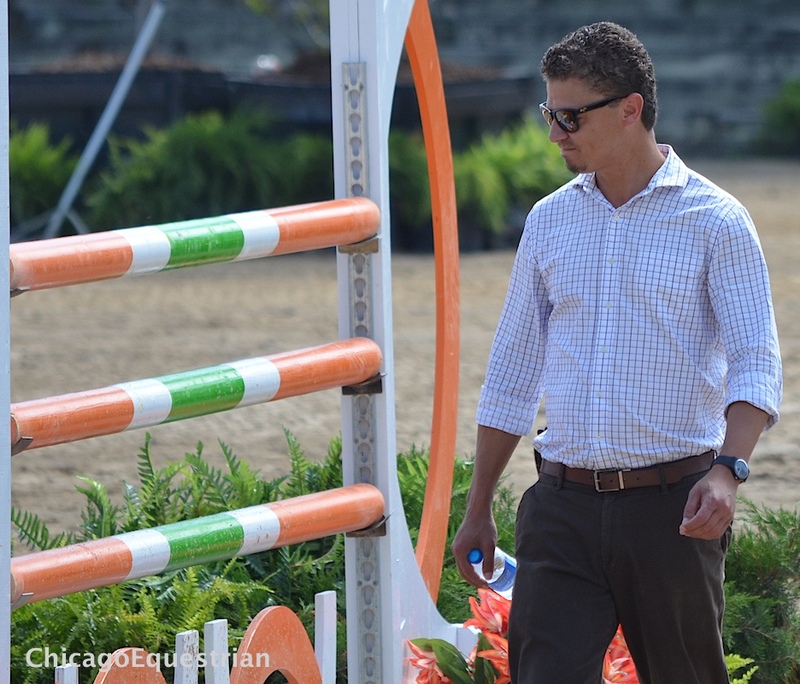 Goldman went first on Rocs to Riches, setting the pace with a clean round and 36.428 on the clock. Kocher rode Shalanno Farm’s Bologna to another clean round and a faster time of 35.270. Faster and faster they went with Goldman returning on a hometown favorite, Morocco, turning in a fast time of 35.220 but caught a rail at the oxer at 7a for four faults. 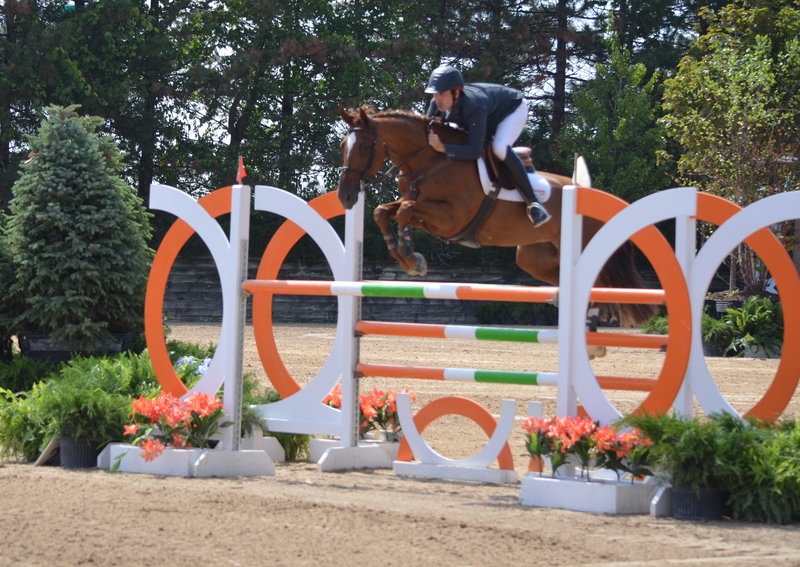 Andrew Kocher and Shalanno Farm's Bologna jumped clean for third. Kocher, Lake St. Louis, MO, had another chance to block the top spots with his second ride, Cantori, owned by Aleece Jarmin. Galloping and cutting the turns tight, Kocher had the fastest time so far of 34.759 but caught the rail at 7a like Goldman for four faults, but still leading with Bologna. Schaefer and his Caribe turned up the heat as they blazed around the track leaving a stride out in the first line and galloping through the turns to earn the lead with 33.981 and all the rails up. Tiffany Hammack and Cassie Berke's Calisto Z played it safe for fifth place. 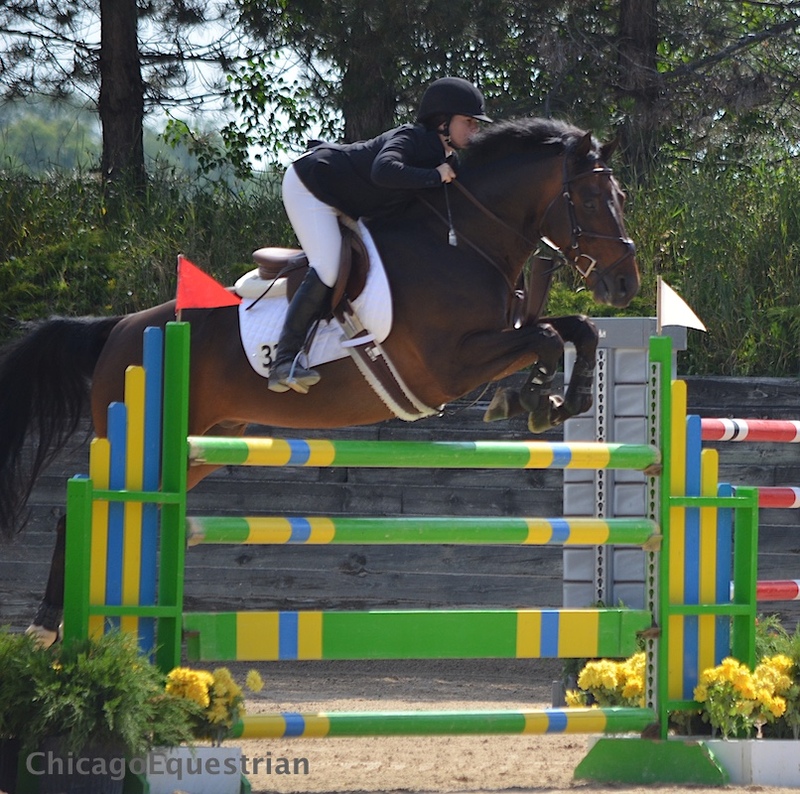 Hammack of Richmond, IL, had her single shot at the blue with Cassie Berke’s Calisto Z. The pair put in a safe and tidy round to jump clean in 37.414. Goldman still had two rides to go to steal the lead from Schaefer. Her mount Aslan, owned by Southview Inc., made up the distance easily with his huge stride to catch Schaefer with 33.821, but unfortunately caught the rail at 7A and the Liverpool at jump 11 for eight faults. Lisa Goldman and Centurion B jumped double clear for second place. With one chance left, Goldman rode the veteran Centurion B to a clean round but not quite fast enough to beat Schaefer with 34.337 for second. Schaefer and the 13-year-old Caribe have a track record of Grand Prix and Welcome Stake victories. Schaefer bought the horse as a four year old after Norman Dello Joio helped pick him out while they were in Argentina. The pair had a successful time from the beginning during Caribe’s young jumper career, winning 1.30m classes in Wellington, FL as a six-year-old. Schaefer is known for his ability to ride fast and clean and is a familiar face at top Chicago events. Steve Schaefer and Caribe with Caelinn Leahy accept the prize for the Grand Prix victory from Tapestry Farm's Molly Struve. 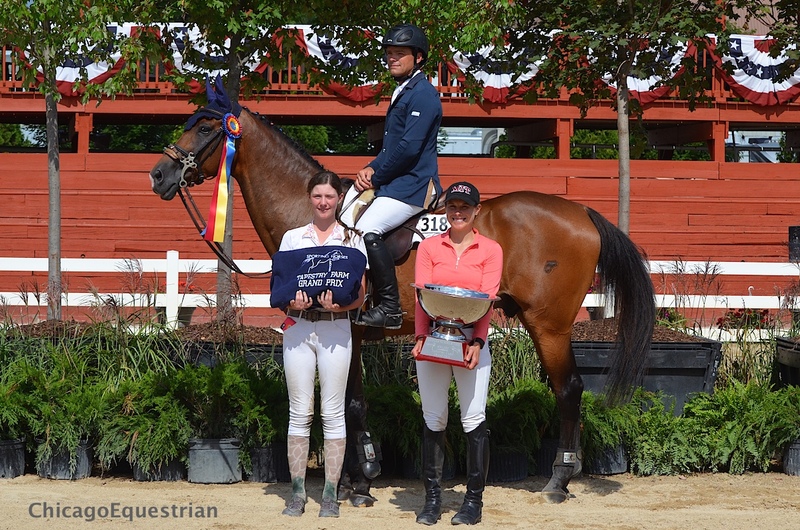 In addition to the Grand Prix each week of the series, Ledges hosted a Derby Day on Tuesday, July 7th featuring the $10,000 National Hunter Derby, a $2,500 Pony Hunter classic and a $2,500 Children’s/Adult Hunter Derby all for the hunters. The Jumpers spent the afternoon with the $2,500 Puddle Jumper Speed Derby, $2,500 Modified Children’s/Adult Jumper Speed Derby, $2,500 Low Child/Adult Speed Derby, $2,500 Children’s/Adult Speed Derby and a $2,500 Junior/Amateur Owner Speed Derby. 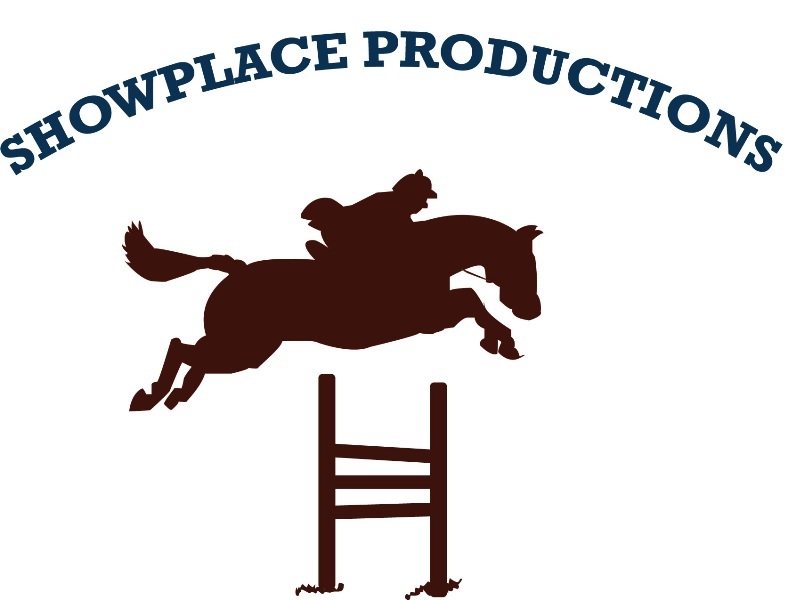 Showplace Productions is giving professionals a way to show their young horses in some classes with no entry fees. Only the Young Jumper Championship class for each section has an entry fee, the regular classes are free. Recent facility upgrades include all of the arenas outside as well as all of the bathrooms inside and a brand new kitchen with all new equipment with the best horse show home cooking around. It’s true, exhibitors praise the food and deem it the best in the country. 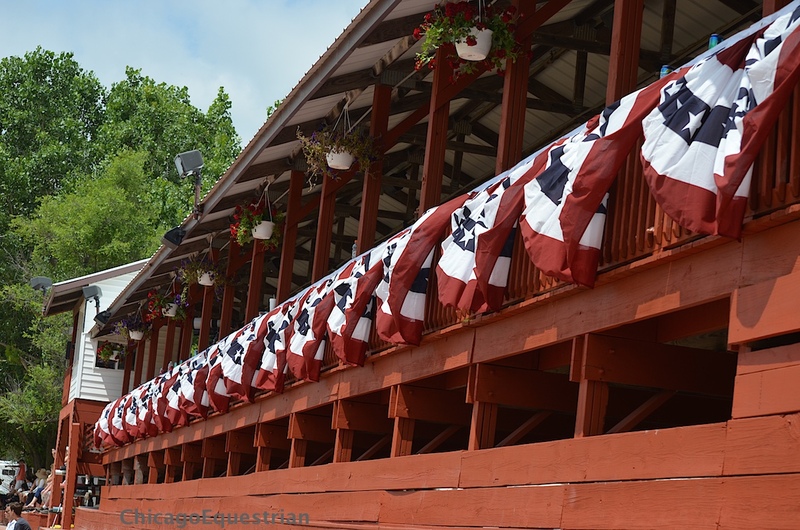 Ledges Sporting Horses is all decked out for July festivities. The Grand Prix ring has a new 100’ x 300’ schooling area with all new footing. The grand prix ring footing and drainage system are upgraded and new. The drainage on the entire property has been reworked and upgraded and footing in the hunter rings is also new. Showplace Productions continues their reputation of top notch hospitality including weekend parties on the party deck with outdoor barbecues and music, just one of the many reasons to show in Chicago this summer. The series continues next week, July 15-19th. For more information on the Showplace Summertime Series, please visit www.showplaceproductions.com.